Whether it's social media marketing, viral marketing, search engine marketing, monitoring solutions or custom tailored solutions, Sorezki's marketing division offers all the tools you need to successfully market your brand- from one location. improve site traffic and motivate consumer engagement. a successful company and one that is just getting by. Tailor our renowned technological abilities and know-how to your specific needs. Social Media Marketing utilizes social networks and social media to bring awareness, attention and traffic to a site and to motivate consumer engagement. The best kind of SMM is content which creates viral buzz- marketing so good that it spreads rapidly and on its own because people actually want to share it with others. Sorezki Productions creates eye catching content that is universally relatable and works for various sized budgets. Sorezki Productions, our beloved production company, excels in creating fresh and engaging brand experiences that get noticed. Made up of highly skilled video producers, editors and after effects specialists, our production team is experienced in working with various sized budgets and in answering diverse marketing needs. Whether it's a product demonstration, instructional, testimonial, commercial, behind the scenes or promotional video Sorezki Productions strives to generate eye catching and engrossing content matched to your needs. Our goal is always to create magnetic content that is universally relatable. For content management that extends beyond video productions, read about our Custom Tailored Solutions. Hubup ensures your content is seen by the right people, at the right time and doesn't go unnoticed- plus, it's easy to use. Having great content that people want to share is a good starting point, but if nobody knows the content exists what's the point? This predicament is what led us to develop Hubup- our innovative social media marketing platform. Hubup is a simple and effective way to generate genuine social interest and conversations around your brand. The platform is based on a network of real, avid users of social networks (aka Hubuppers) who get paid to perform social activities centered around your brand. You define the target audience, the social activity and the social network while Hubup finds Hubuppers who match your audience specs and social influence requirements. The Hubuppers perform the social activity, such as sharing your promotional video, and expose their social network to your content. Hubup ensures that your content is seen by the right people, at the right time and doesn't go unnoticed- this is social media marketing made simple, well targeted and effective. The social activities generated through Hubup also increase your SERP rankings giving you twice the marketing benefits with one simple activity. Read more about it here. You can choose to use Hubup and Sorezki Productions' marketing services independently or you can combine them to create a match made in social media marketing heaven. Specifically, use Sorezki Productions to produce an extraordinary viral video for your brand and then use Hubup's reshare activity to effortlessly distribute the video by social influencers across leading social networks. Combining Sorezki's viral video and social distribution capabilities gives your brand the best chance at going viral with minimal effort. SEM is the traditional online marketing method of increasing a website's ranking in search engine results pages (SERPs). A higher SERP ranking means a site gets more visibility and increased traffic. At its core, SEM is based on increasing the quantity and quality of positive signals that web crawlers receive from a site. More established signals include onsite factors such as keywords, meta tags, code clarity and others as well as the ever important offsite backlinks. Also, social presence is an emerging offsite signal which is increasing in importance. Sorezki offers both onsite and offsite SEM solutions that can be used with any budget and include on-page optimization suggestions, social signals boosting and exceptional link building. Keywords, title, META tags, hyperlinks, text and overall design all play an important role in determining where a website will rank. Sorezki's SEO Plus Google Chrome extension helps you focus your efforts and decide which improvement to make. Simply download the extension and explore the "Optimization" section. The interface is easy to learn and gives results in real time for any website and includes information about markup, server details, keyword density and of course, implementable recommendations. SEO Plus provides a good base for developing a concise plan of SEO action and for researching what competitors are doing (or should be doing). Hubup increases social signals received directly by Google - social media optimization at its finest. Social media has become an unavoidable part of everyday life, and search engines are catching on. As they continue their efforts to deliver the most relevant search results search engine are increasingly incorporating social receptors into their SERP ranking algorithms. Specifically, Google created the Social Data Hub which picks up on social activities such as likes, votes, shares, retweets, bookmarks, social links, and comments. Google has even incorporated statistical information about social activities into their Analytics platform. Given this knowledge optimizing brands and sites for social media- a process known as social media optimization (SMO)- is now an essential part of online marketing. Hubup is Sorezki's marketing platform which provides users with a simple, effective and organic way to increase social signals that are received directly by Google. This boosts a site's social media presence and thereby improves SERP rankings. Using Hubup's pool of Hubuppers- real, influential social network users- clients purchase social activities performed by Hubuppers with relevant interests. Activities such as votes, reshares, and bookmarks are considered trustworthy votes for your site which translate to higher SERP rankings. The activities generated from Hubup also have the effect of virally marketing your brand across social networks- Hubup gives you twice the benefits with one simple activity. Read more here. We never use predetermined placement or link exchanges so all Linkr™ links seem absolutely organic. In the SEM world, backlink building has long been an effective strategy for increasing online visibility, rankings and traffic- but it's not enough to just build links. Relevancy, trustworthiness and high quality content are an integral part of effective link building- which is why we created Linkr™, our intuitive link building platform. You select the anchors, landing pages, link type and PR of the link's placement and we deliver high quality links that pass powerful link juice, under the radar. Our link builders are trained and certified to build great links in relevant and trustworthy locations and they never use any kind of automated systems. We never use predetermined placement, link farms or link exchanges so all Linkr™ links seem absolutely organic in the eyes of the search engine and we have a strict policy against sites featuring adult content, online gambling, violence or anything negative. Best of all, all links come with a 30 day warranty so you can feel confident that you'll be more than happy with your links. Monitoring is an essential part of online marketing. Whether your focus is on viral, search engine or social media marketing, monitoring the impact of your efforts is crucial for cost effective marketing management. Monitoring a site's online reach and popularity is essential in order to be able to properly analyze and improve it. Sorezki works hard to ensure the monitoring data you receive is focused and accurate so that the marketing decisions you make are relevant and effective. Our free Google Chrome extension, SEO Plus, lets you track a site's performance metrics as well as the depth of its social media reach. The extension provides you with access to real-time, on page statistics about backlink quantities, PageRank, Alexa traffic rankings, pages indexed, unique visitors and more. This gives you a hassle-free way to track your site's progress and you can use it to monitor competitor's sites as well. When trying to get a full picture of a site's or brand's online performance, site metrics are not enough. Social media involvement is an important measure and Sorezki provides the tools for checking the depth of your social media reach. SEO Plus' Social Activity tab gives you real time statistics about your site's Facebook, Twitter, Digg, del.icio.us, StumbleUpon and reddit social activity so you know where and when you need to strengthen your social presence. Using our Hubup Score anyone can decipher, track and monitor the strength of their social influence across various social networks. Hubup measures your social influence based on your social networks activity, your following vs. follower ratios and other statistical factors. Your Hubup score is a calculation of your personal social influence across all the social networks in which you are active. Additionally, Hubup gives you an in-depth view of your specific interests. Whether it's music, architecture, crafts or philosophy Hubup will tell you which categories you have the most interest and influence in. The Hubup platform provides you with a graphic view of your daily Hubup Score and score history so you can see exactly how your social activities are impacting your social influence. Hubup also gives you the option of monetizing your social influence by becoming a Hubupper and getting paid for social activities which you already perform. Sorezki's monitoring abilities also include tracking SERP ranking progress. This ability is highlighted in Linkr™, our advanced link building platform. 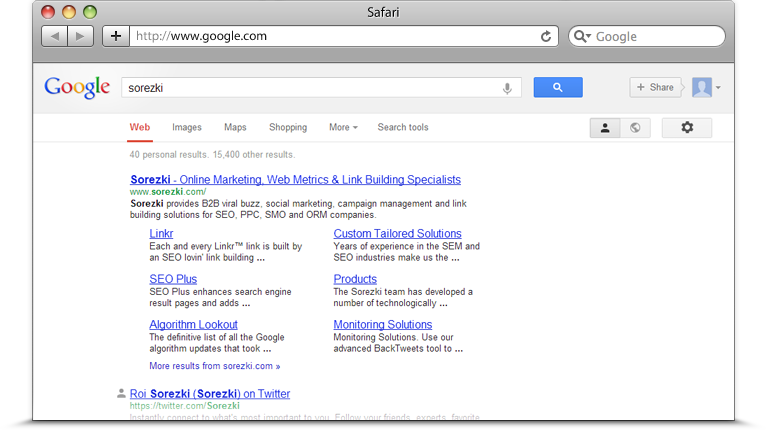 Linkr™'s SERP tracking is done in accordance with the anchors and landing pages defined within a link building campaign. Based on the campaign's parameters, Linkr™ performs daily automated searches to track a landing page's SERP ranking when searched for with a specific anchor. You can select to view average SERP rankings for all landing pages and anchors or choose to view specific rankings for specific anchor and landing page combinations. 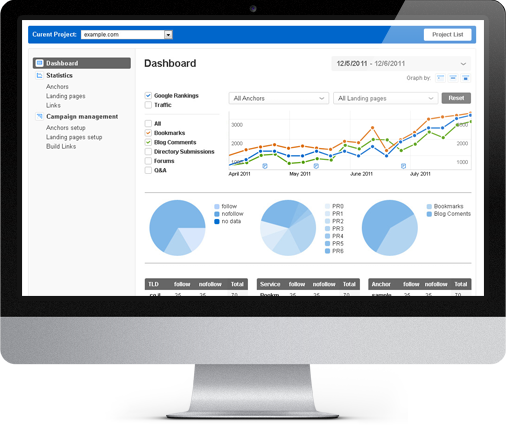 Linkr™ automatically graphs the data it collects daily so you can see the correlation between your link building campaign and your site's advancement in Google's SERP. gets noticed by theright people at the right time- if you've got it, why not flaunt it? At Sorezki Productions we believe in making brands and consumers happy by creating bold content experiences that capture the imagination. We also believe that socially engaging content doesn't have to be synonymous with big budgets. We are experts at maximizing the social engagement potential of any budget. At a time where online social engagement saturates every aspect of life, customers want more than a brand that delivers a good product- they want to feel connected. That's why at the core of every one of our productions is a determination to bring brands and consumers closer. By creating socially engaging branding experiences that generate buzz, we invite brand-consumer conversation. It's connection, pure and simple. Also, we like to implement our philosophy home first. With Sorezki you'll always work with one point of contact, from start to finish, so we can really get to know you. Sorezki Productions is a full-service independent production company. We are armed with the knowledge, resources, and people needed to build brands in this constantly changing marketing landscape. Plus, niche is not in our terminology- we work across a diverse range of industries and offer a variety of services all based on creating insightful, creative solutions to your problems. Every product we deliver is based on impeccable scripting, lighting, framing, after effects, video and sound editing. Of course, all videos are available in full HD. Our expertise lies in executing branding campaigns from inception to distribution. Combining our production skills with our advanced web marketing platforms allows us to manage the branding process from start to finish with a level of insight no other production company has. Distribution is done through our ground-breaking web marketing platform- Hubup. Hubup is a simple and effective way to generate genuine social interest and conversations around your brand. The platform is based on a network of real, avid users of social networks (aka Hubuppers) who get paid to perform social activities centered around your brand. Hubup ensures that once your content is created it gets seen by the right people, at the right time and doesn't go unnoticed- this is social media marketing made simple, well targeted and effective. Basically, we have the tools and knowledge to create the most engaging content and to actually use it to engage with the right consumers. Specifically, use our Production division to produce an extraordinary viral video for your brand and then use Hubup's reshare activity to effortlessly distribute the video by social influencers across leading social networks. Combining our viral video and social distribution capabilities gives your brand the best chance at going viral with minimal effort. Hubup also works directly with Google signals to increase your SERP rankings giving you twice the marketing benefits with one simple activity. Plus, because the production and distribution are coming from the same source it's the most cost effective, headache-free service available. You'll work with the same professional team from start to finish so there's never a need transfer content, reformat materials or repeatedly explain what you want- we get it. 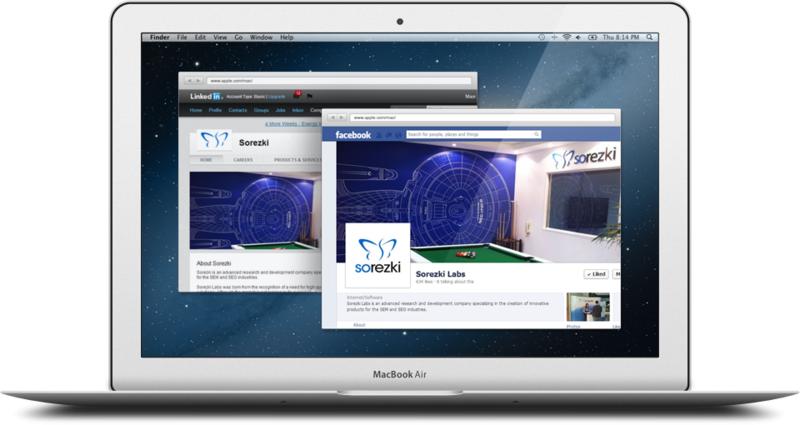 In addition to search engine marketing, social media marketing and monitoring technologies Sorezki Labs offers custom tailored marketing solutions. Our custom tailored solutions are based on a yearly retainer with a $5,000 per month minimum. Our exclusive, individualized SEO services begin with a comprehensive consultation as well as in-depth research to identify your needs and develop a clear plan of action. Terms often thought to be right for a specific project are not always the ones used by its target audience. For this reason we prepare an extensive two week long market and keyword research report in cooperation with the client to determine the most valuable keywords for the project. Through this deep analysis we determine how competitive each terms is, its potential traffic, the amount of backlinks it will need as well as the most effective link types for the term. This invaluable research allows for the creation of an educated online marketing strategy which will increase the client's chances of obtaining prominent SERP rankings. Upon completion of the research, a reviewal process begins in which report results are analysed together with the client to decide on the terms to advance, the keyword density and how to advance them (including short and long tail strategies). A quote for implementation of the SEM and SEO plan is given at the end of the research process upon request. We also consult with in-house SEOs or IT teams to provide step by step instructions for a superior marketing strategy. Keeping in touch with current and potential clients is crucial for any contemporary business. Nowadays people prefer to write a Facebook message instead of an email and connect via LinkedIn and other professional networks such as YouTube, twitter, Google+, flickr etc'. Social networking allows you to effortlessly connect with potential and existing clients, advertise to your target audience, easily publicize press releases and overall drive more relevant traffic to your site. Our Social Profile Management services keep your social media profiles on sites like Facebook, Twitter, LinkedIn relevant and updated through techniques such networking, publishing, sharing, bookmarking, forum posts and more. And of course, all content is SEO optimized. We connect with potential and existing customers to build meaningful social presence. In the past negative coverage about an individual or a brand would slowly fade away as new headlines emerged- this is no longer true. In the networked world negative coverage can be permanent and damaging. At a time when “Googling” a person or brand is often the first step when considering any kind of partnership, one simply cannot afford a negative representation online. Monitoring public perception of the individual or brand by researching Google search results as well as content from social media platforms (Facebook, Twitter, Google +, etc.). Examining the source of the negative perception and targeting it. Using our highly professional personas to create a positive online buzz through commenting on and responding to the negative online content. Since people tend to rely more on trustworthy users, we nurture our personas and raise their credibility in the community. Personas' profile pictures are manipulated by graphic designers and the originals are purchased especially for each persona. We operate the personas using worldwide proxy servers, depending on the city each persona is “from”. Through word of mouth our personas share their positive experiences, comments, and reviews about the individual or brand and gradually, the negative buzz is neutralized and often even converted into positive buzz. 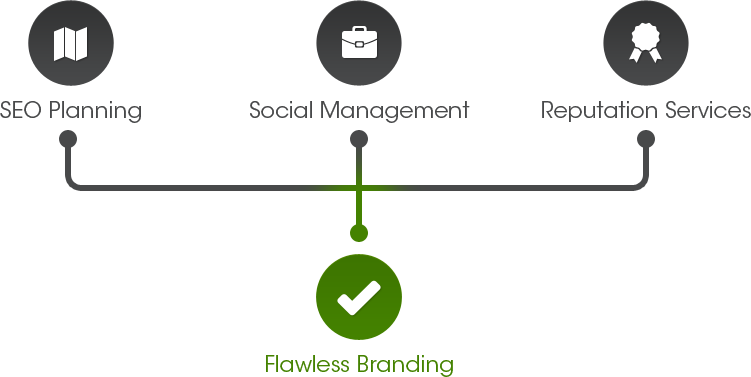 Throughout the ORM process privacy, discretion, and integrity are our main priorities. Please Note: We only provide ORM services for people or brands that have unjustly acquired a negative reputation online. Please Note: Our personas exist for promotional purposes only. We interact with other users purely on a business level. Our professional personas generate positive buzz and outshine any negative press. Growth hacking is the fine art of taking existing elements of a product or company and reworking them in combination with new solutions to deliver serious growth. Growth hacking goes beyond classic marketing and emphasizes a holistic product view including: UI/UX, user thought and behavior, behavioral economics, testable metrics and other systematic product features. Our growth hackers use their analytical skills, creativity and curiosity to breathe new life into products, solve ongoing problems with innovation, and deliver company growth. Most importantly, our growth hackers select the most relevant and specific product metrics through which to measure results and set goals. A great solution for "stuck" companies or products in need of a fresh perspective and innovative solutions. Our practiced growth hackers bring a fresh perspective to push product and company growth.